QNAP CMS server is a Linux-embedded turnkey solution, with other needed services built-in, such as database SQL server. This makes the installation of the QNAP VioStor CMS easily and intuitively - just run the CMS server Quick Configuration, install the CMS client software on a PC, then it's ready to log into CMS server from the CMS client. QNAP develops both the hardware and software solution in house, tuning the collaboration between hardware and software to the finest point, thus brining the optimal performance of the CMS system. At big sites, a large number of cameras, devices, recording servers, etc. are usually distributed widely at great intervals. This can be a challenge for control center operators to monitor the status of all devices, especially when an event occurs. 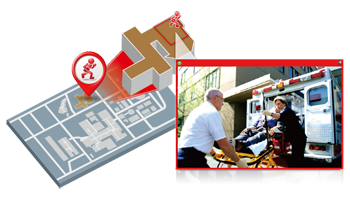 VioStor CMS helps overcome the challenge by providing several features such as E-map based event alert: When an event occurs, there will be red indicators on e-map to show the event location, and by double-clicking the camera icon, live video of the event will pop out. The e-map layers are unlimited, and e-map links are multi-directional. One of the most challenging tasks in a large project is the configuration of numerous NVRs and cameras. VioStor CMS helps the project installer to monitor and configure the devices in the system easily from a central location. This significantly reduces set-up time and enhances efficiency. 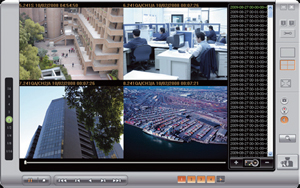 In a large-scale project, a great number of camera channels need to be displayed on several monitors. Control center operators need a flexible, customizable tool to help them monitor these many channels, and quickly focus on the specific channels. VioStor CMS has a customizable monitoring layout, which allows the users to freely mix and match e-map and camera videos in different slots of a view. Each slot can include multiple camera videos to form a sequence. By doing so, the non-critical channels can all be displayed in sequential mode, while keep the critical channels always displayed. 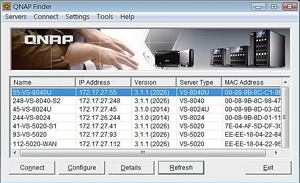 VioStor CMS is compatible with QNAP NVRs with firmware version 4.1.0 or above. The number of channel licenses can be increased online as the project grows. This provides more flexibility to the project designers and installers. HDD Smart Bad Block Scan & Hard Drive S.M.A.R.T. 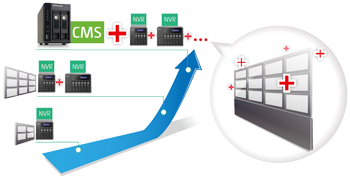 The above configurations can be synchronized by grouping devices of the same NVR model. 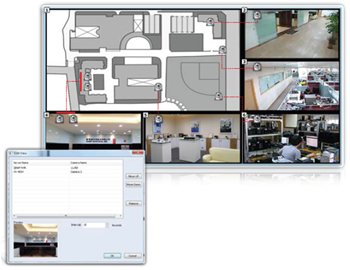 The above configurations can be synchronized by grouping devices of the same camera model. The camera control panel can be auto hidden, leaving more room to display the camera video. E-map When event occurs, the camera icon will turn into red indicator to show the event location. When double-click the camera icon, the live view video will pop up to show the instant status. Alarm Mode When event happens, the alarm indicator will flash and can be clicked to enter the alarm mode. Click Quick Bookmark to place a vertical thin bar on video footage. Click Detailed Bookmark to place a vertical thin bar on video footage, and text details accordingly. Sequential Mode Each slot can be composed of multiple camera channels to form a sequential mode. Sequential mode can take place only in the selected slots. 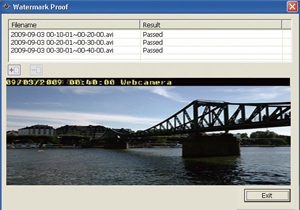 The interval between each camera video’s display is adjustable. Sequential mode can be easily enabled or paused on live view page. Video Time Frame Maximum time length is 24 hours, and can be cross the other day. The content list window can be auto hidden, leaving more room to display the camera video. All channels are displayed based on the identical timeslot. Each channel can be assigned to display different timeslot. Download the QNAP VioStor CMS Datasheet (PDF).